Tattoo artists say more young people are embracing the permanence of body modification by way of ink and hypodermic needle at a time when curating one's image is as easy as changing a Facebook status. Few expressions of individuality are more telling than a tattoo. At a time when curating one's image is as non-committal as changing a Facebook status, artists say more young people are embracing the permanence of body modification by way of ink and hypodermic needle. In B.C. this week, CBC News found evidence of so-called amateur scratch artists willing to mark up underage teens without legal parental consent. It's the kind of "flash art" tattoo experience that University of Toronto sociology professor Michael Atkinson underwent as a 17-year-old in Halifax — choosing a Guns N' Roses emblem from a wall and having it inscribed on his left bicep. "It was $40. That was 1989. They didn't ask any questions, it was just 'Here you go,'" said Atkinson, author of Tattooed: The Sociogenesis of a Body Art. "I have to be honest. I didn't put a hell of a lot of thought into that first one. But now there's a cultural expectation that if you have a tattoo, there has to be some story behind it." 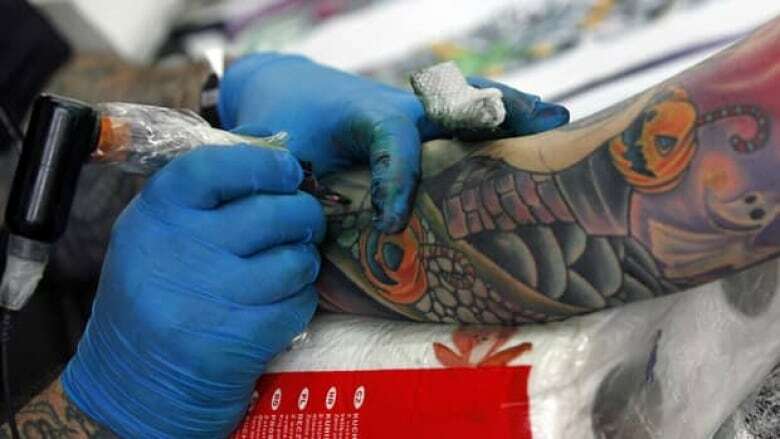 It's an indication of how the industry has grown up in the decades since then, artists and their clients say, with popular perception of tattoo culture shifting to serious art movement from deviant behaviour. Atkinson — whose arms, chest, ankle and lower neck are inked — describes tattooing as part fashion, part communicative act in a consumer culture that encourages swapping the old for the new. "It's a frontier for the discussion of human agency," he philosophized. "How much will do we have, as people, to be able to inscribe whatever we want? Facebook is temporary. You can change it, delete things, you can't do that with the body. Tattoos aren't disposable. You can't buy the next model next year." In Toronto at least, it's a booming trade, said Lizzie Renaud, owner of Speakeasy Tattoo. A decade ago, as an apprentice still working the phones, there were maybe 15 shops in the city, she said. 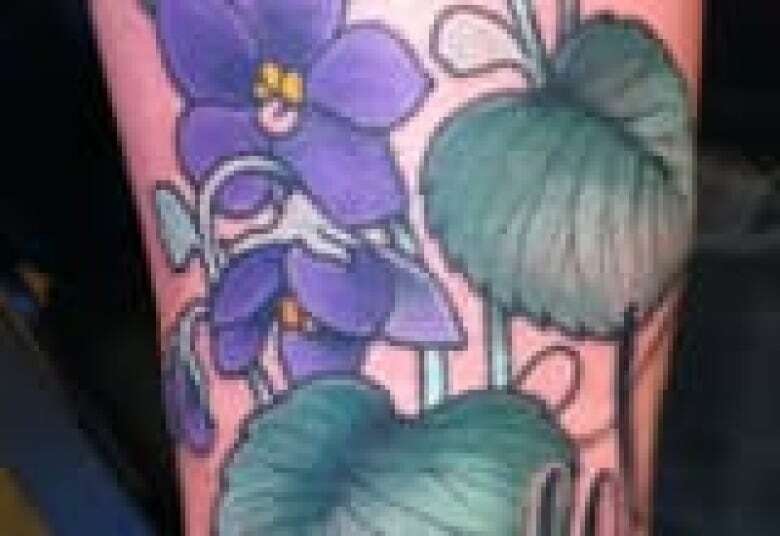 Now, a Yellow Pages search brings up 40 results for Toronto tattoo businesses. "And that's even just the listed ones. I've heard that the number is around a hundred in the Greater Toronto Area," Renaud said. "It's nuts." Clients book consultation sessions with the artists, many of whom have fine arts or graphic design degrees and specialize in styles such as photo-realism and Japanese Oni. And Atkinson foresees more people going under the needle in years ahead, particularly in cosmopolitan areas. "It's almost an exponential equation. I see tattooed bodies everywhere I go now," he said. "Kids are also growing up with parents who are more tattooed than the generation before, so there are different social values at home." The Washington-based Pew Research Center reported in 2010 that 38 per cent of millennials (then the 18-29 age bracket) acknowledged having at least one tattoo. The report concluded that "tattoos have become something of a trademark" for people who began entering adulthood in the 2000s. By comparison, 32 per cent of gen-Xers surveyed said they were tattooed, and only 15 per cent of the older baby boomers had body art. Rocky Rakovic, editor of Inked Magazine, credited reality TV programs such as L.A. Ink and the tattoo competition series Ink Master for popularizing what was once deemed a heavy counter-cultural movement. "The tattoo shop was a scary place. Once television showed that these are normal people working there, it changed people's ideas," Rakovic said from New York. "So yes, there's the kid who gets drunk on Spring Break and gets a monkey on his arm, but there's also people who spend a lot of money and research the art because they're serious about it." Delaware-based tattoo artist Shane O'Neill, who specializes in realistic portraits and won the first season of Ink Master, said the shops have cleaned up, too. "The ink is refined, the colours appear brighter, the needles meet a higher quality standard, where they don't cause as much trauma on the skin," O'Neill said. He's also seeing a different clientele compared to when he started working 15 years ago. "Doctors, lawyers," O'Neill said. "Most shocking for me was a customer who was a 64-year-old woman — a rabbi — and she waited until she was 64 to get a tattoo." That's not to say that tattooed bodies are becoming normative or mainstream, Atkinson said. Toronto or New York City may be liberal spaces, but body art may not be as openly accepted elsewhere and certainly not in some job fields. Tattoo placement is still crucial for most body art collectors, Rakovic said, adding that some respected artists will send prospective clients home for a week to think more seriously about whether they want their knuckles marked for life. Rakovic said his staff at the Inked offices have a term for those kinds of pieces. "'Job-stoppers,' we call them," he said. Toronto tattoo artist Lizzie Renaud opened her shop, Speakeasy, in 2009. Working her way up to being a prominent artist in the city took nine years, including an apprenticeship and on-site training. "You learn how to trace images properly, you're memorizing basic traditional tattoo shapes and styles, and then there's a period of learning about machines, needles. You're taking care of sterilization, working the desk and reception for free," she said. Renaud charges about $180 an hour, depending on the complexity of the design. She said a more novice artist at her shop who's been working for two years might charge about $120 an hour. Typically, a script tattoo might take an artist about 45 minutes to an hour and a half to complete, she said, though those walk-in clients are rare. Even so, tattoo exposure didn't dissuade Dalhousie University from using one of its tattooed faculty members, Chris Helland, in promotional materials in 2007. 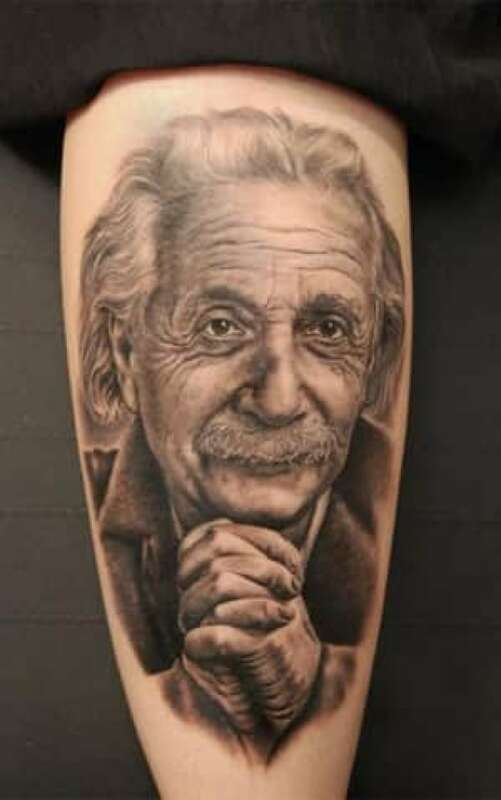 Helland, an expert on religion on the internet who got his first tattoo when he was 18, became a poster boy for the school's "Discover the Unexpected" ad campaign, which featured the sociology professor with his sleeves rolled up to display the intricate panorama etched on his arms. "There was this perception that tattoos are associated with deviant behaviour, and that's a very biased and Eurocentric perspective," Helland said. "But as a sociologist of religion, I'm very fascinated by sacred or religious tattooing, the rituals and the different belief systems associated with it." The 45-year-old academic noted that all his tattoos can be concealed if he wears a long-sleeved shirt with a collar. That's certainly the way to go, said Rakovic, who said he's seen enough regrettable tattoos in his years with Inked to stress the permanence of a decision to get inked up. "Coming in and out of vogue isn't an option," he said, noting that trends are tilting towards script and lettering tattoos, and a popular placement for women's tattoos has moved from the lower back to the rib area. "We call it the 'skank flank,'" he said. "Every week or two, I see another girl with another rib piece, and you have to tell them that." Classic "neo-traditional American" tattoos aren't likely to go out of style, whereas "a butterfly on the lower back, or a 'tramp stamp,' is universally panned," he said. "Tribal has declined while photo-realism, exact representations of people and objects, is on the rise," Rakovic added in an email. As for the movement to change perceptions at the workplace, Rakovic said there's still a ways to go. A Facebook group called "Tattoo acceptance in the workplace" has more than a million supporters, and Rakovic said he was excited about a popular T-shirt the magazine's online shop is selling — one he wants more body art collectors to start wearing. "It says 'Tattooed and employed,'" he said.